5th Workshop on "Industrial Radiography: Improvements in Radiation Protection"
The 2nd EAN Workshop on Good Radiation Practices in Industry and Research made a number of recommendations. For industrial radiography, improvements in radiographic equipment safety and worker training were key recommendations. This, the 5th Workshop has taken the recommendations of the 2nd workshop as a starting point. Special mention should be given to the role of IAEA in supporting the participation of countries from the Middle East and Eastern and Central Europe. That Workshop allowed all stakeholders to discuss more than 20 oral and 10 posters presentations. Six working groups were respectively devoted to: regulation, incidents, accidents, near misses, work organisation, training, safety culture and equipment. 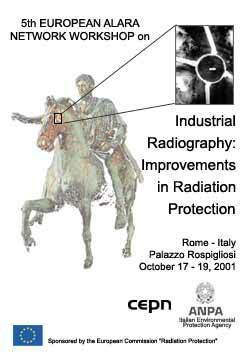 Finally, that three days Workshop has led to several conclusions and recommendations for the improvement of workers radiological protection in industrial radiography. 18 Non-destructive tests through gammagraphy: "a technical job as well as some necessary rigorous improvisation and astutes"